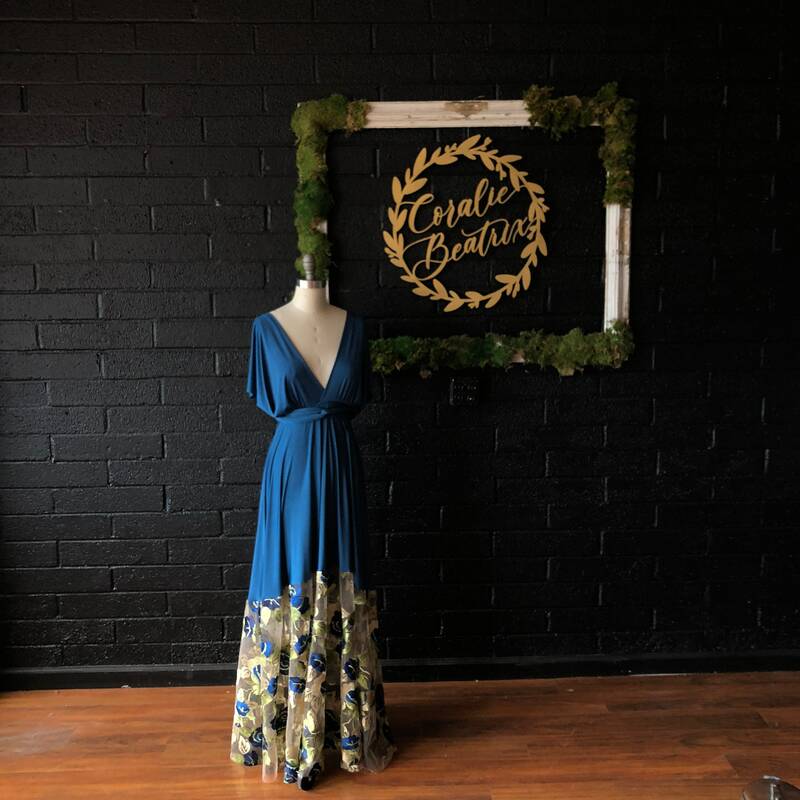 Floral Embroidered Bella Luna Infinity Wrap Dress- Tea and Sapphire with Gold Leaf and Bahia Tortuga Blue~ Customize color, size, length! 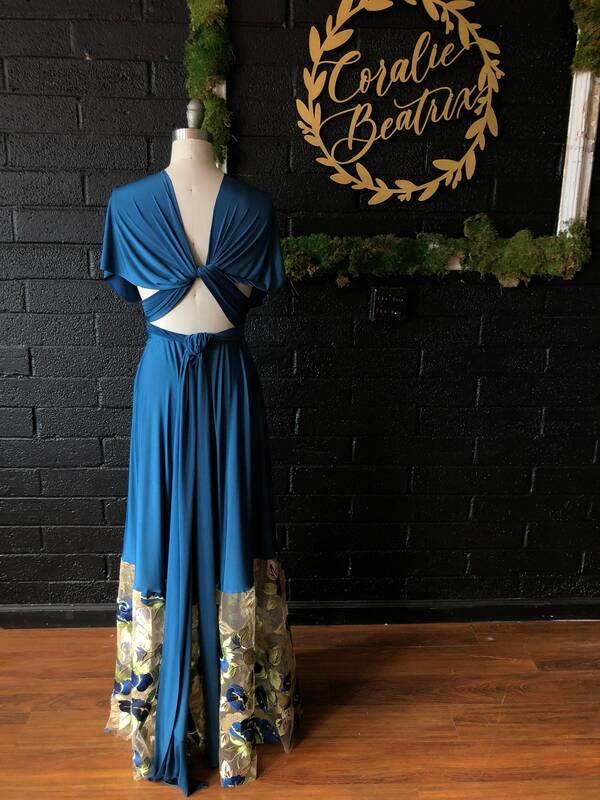 The Bella Luna Octopus Wrap dress features a beautiful draped, cascading specialty fabric on the bottom portion. Shown in the stunning new Bahia Tortuga Blue with the Tea and Sapphire Embroidered specialty fabric. 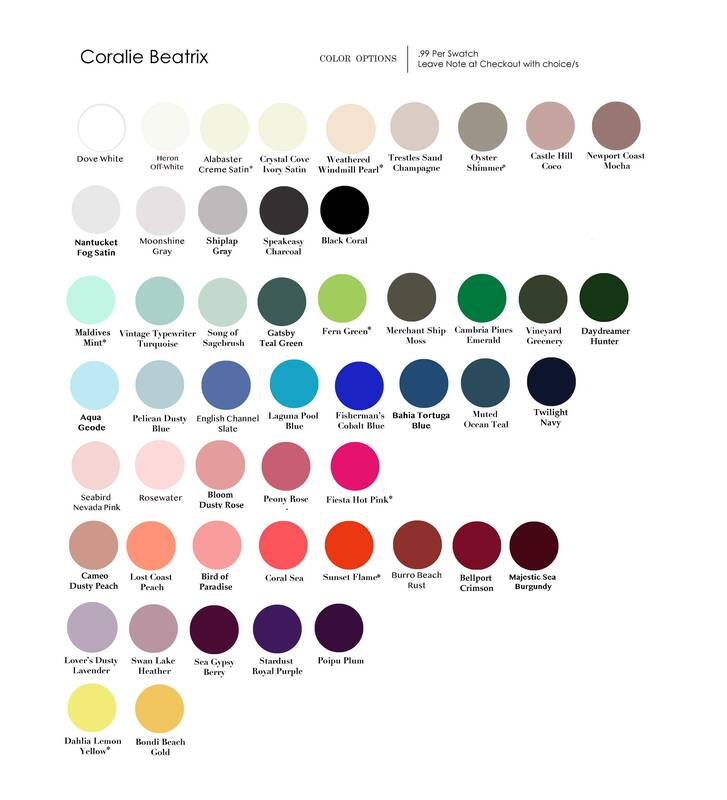 See below for how to custom choose size and length! 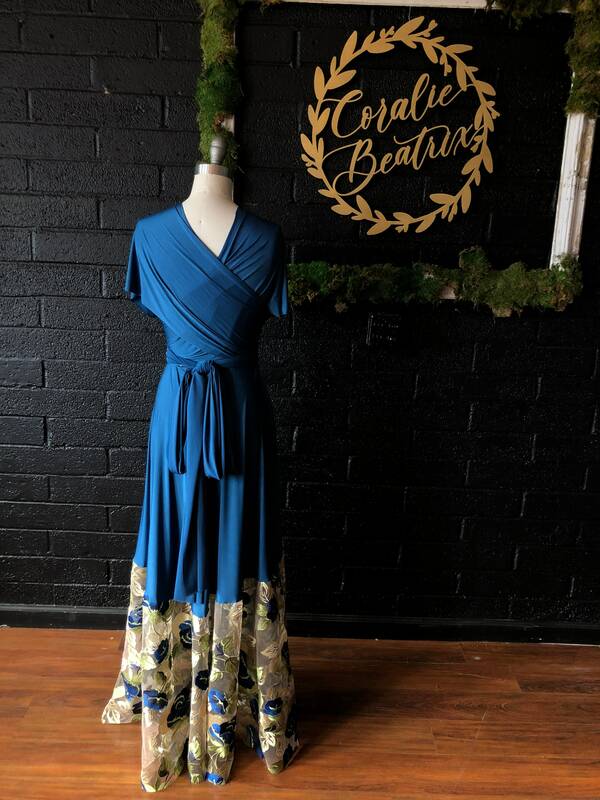 The Infinity Wrap Dresses are great because they are many dresses in one! 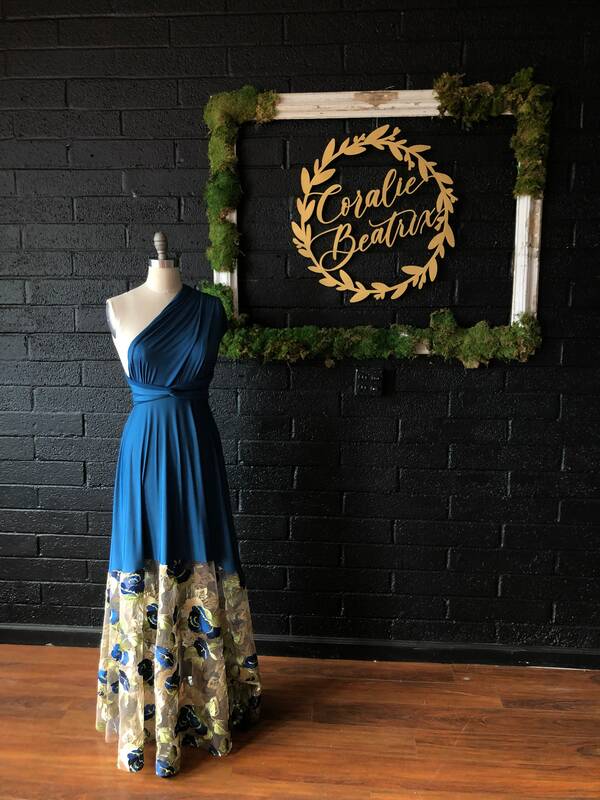 With an Aline skirt, and long sweeping sashes, you can wrap, cinch, and tie in your favorite most flattering style! From grecian one-shoulder, to strapless, to backless, to full coverage! 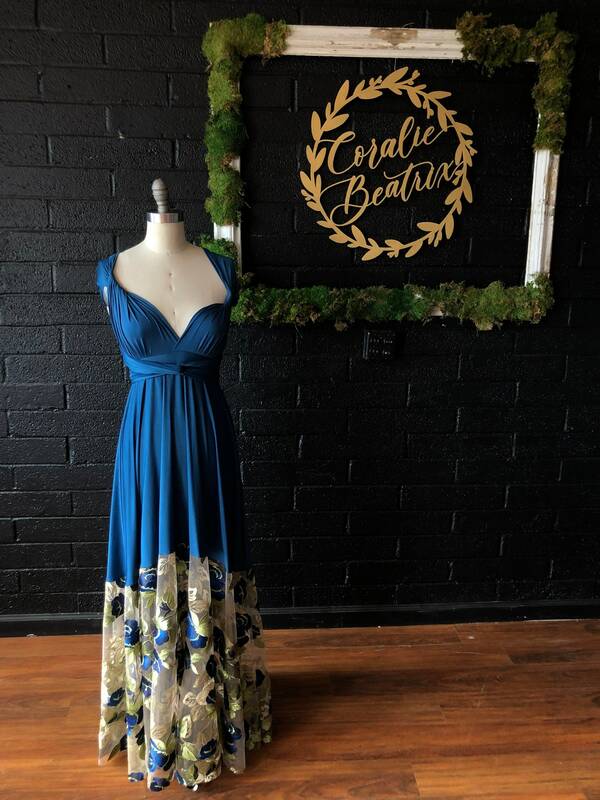 Great for special occasions including Bridesmaids, Prom, Military Ball, Cocktail Party, etc. 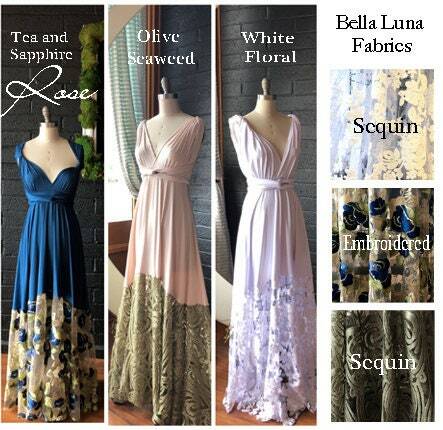 BRIDESMAIDS orders of larger quantities may now be available! Please message with quantity needed so I can check my fabric stock and set up a reserved listing for you! 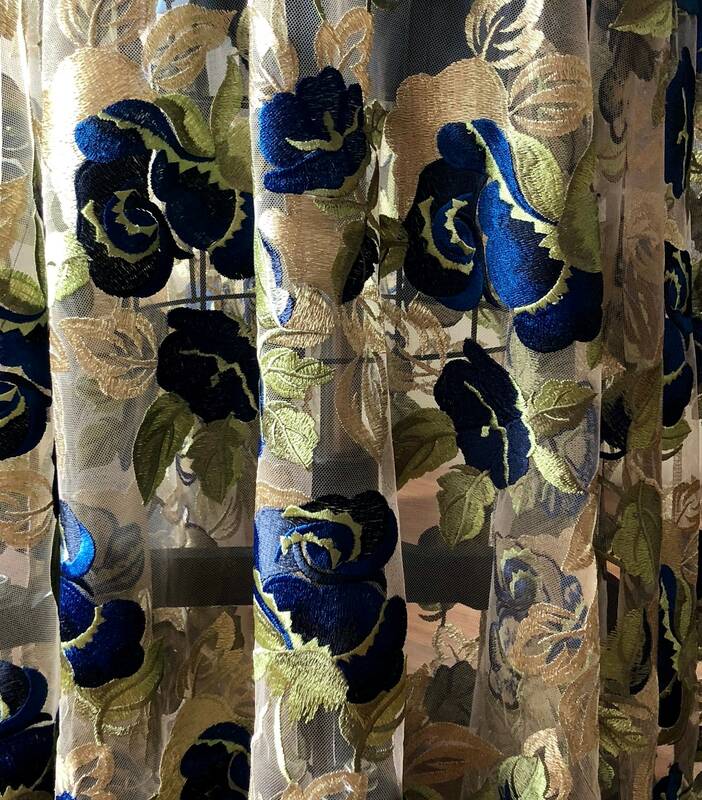 FABRICS- either choose what is shown or leave a note at checkout to custom choose a fabric to go with the Tea and Sapphire embroidered fabric! 1.SIZE-To determine size, measure around the high waist (right under the bust). 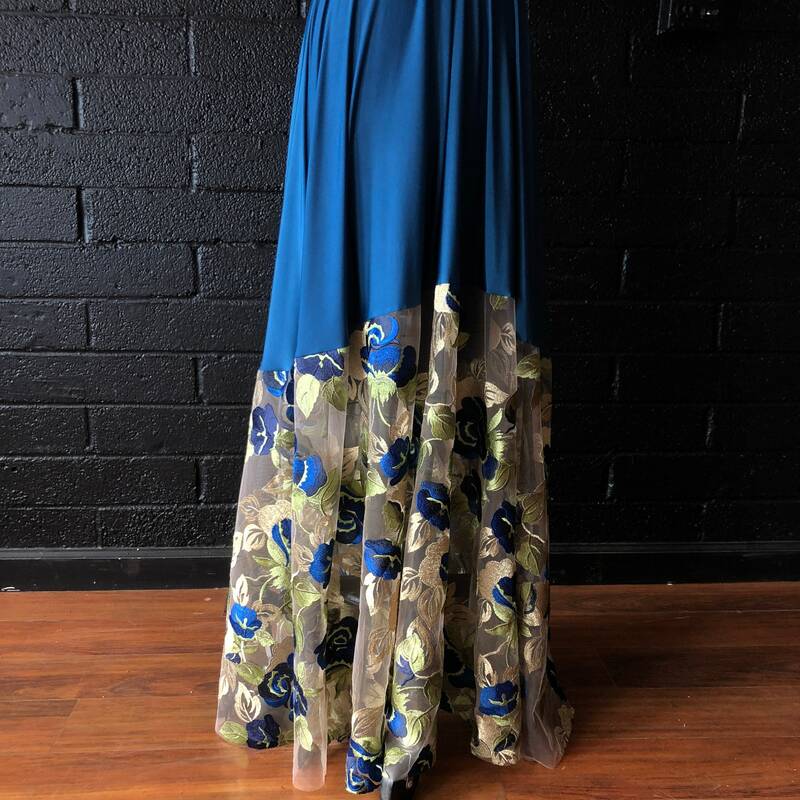 * Sequin fabric features special rolled hem. If Length adjustments needed, it can be made with a local Tailor. 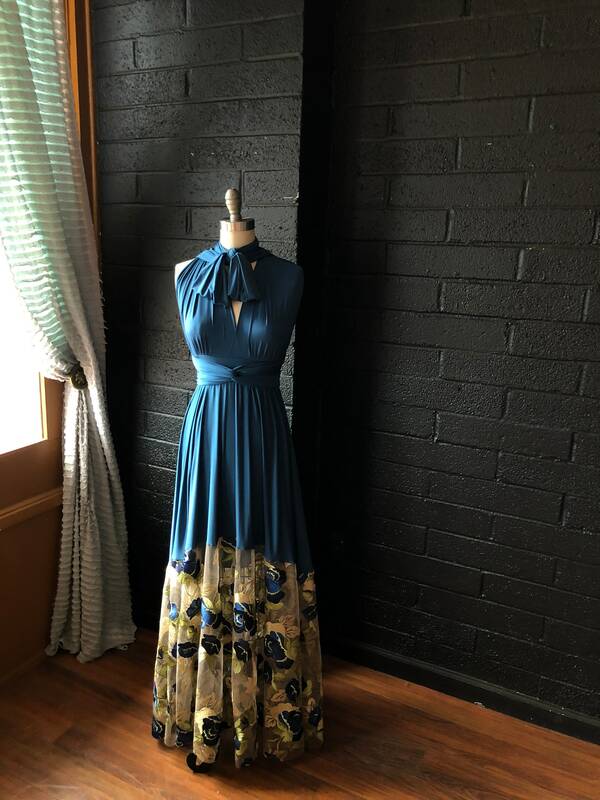 Trains-(+$40) Choose front length from drop down menu(from under-bust seam down). For one dress, please allow me 4 weeks to ship plus delivery time.